What's your favorite childhood memory? 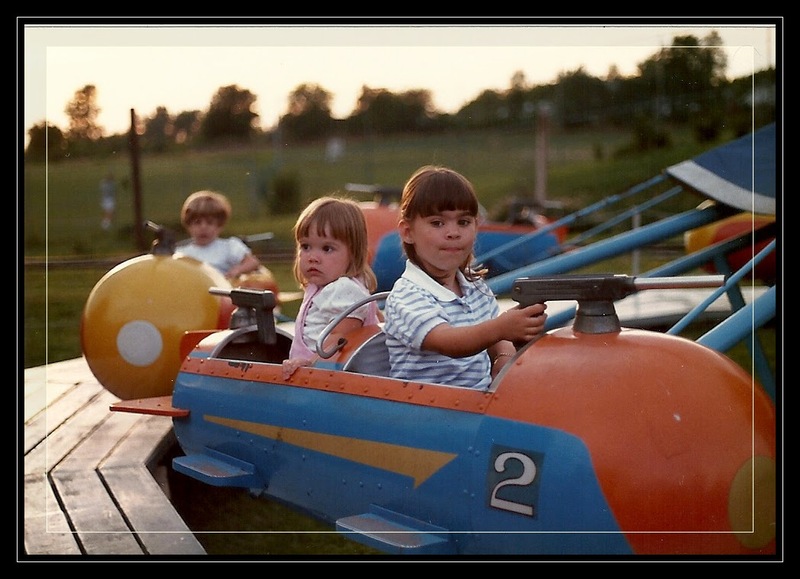 How about your favorite memory of your children's childhood? I bet it's hard choosing just one. 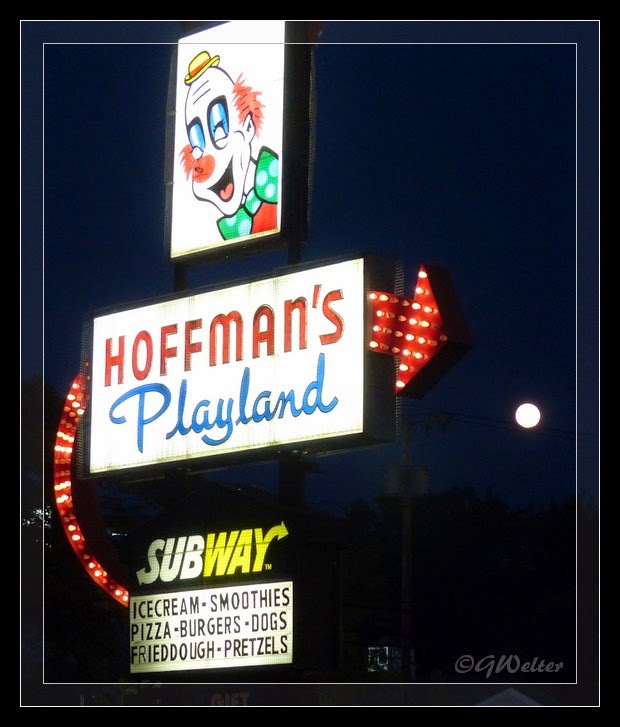 If you live in the Capital District of New York State, you probably have memories of going to Hoffman's Playland. Perhaps you took your kids there, maybe even your grandkids. If you have, you are probably one of the many who are disappointed to know that as of September 14th this year, Hoffman's will be closing forever. 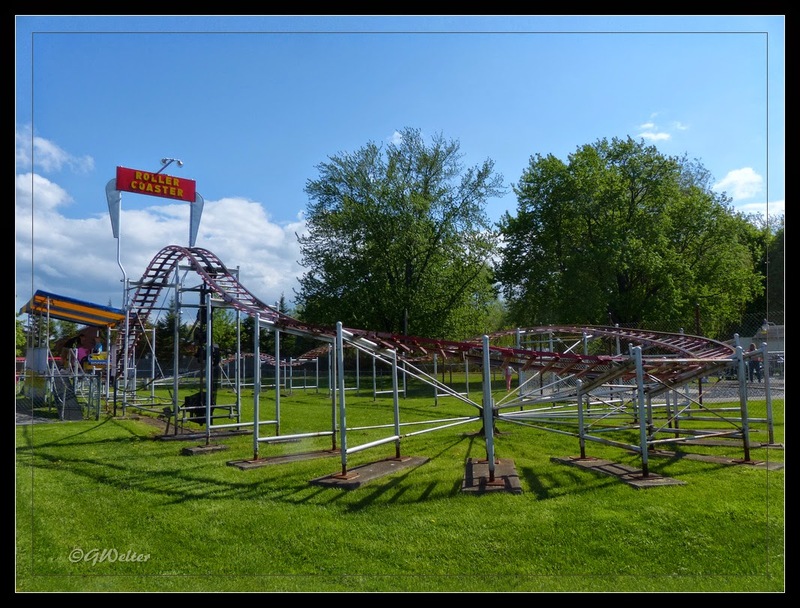 After a year-long campaign to find new owners to purchase the park and keep it open for future generations, the Hoffman's have been unsuccessful, and it seems the value of the land might just be more profitable than the amount of revenue generated by a seasonal playground. While I certainly have witnessed the massive commercial growth happening on the southern end of Route 9 in Latham, it deeply saddens me to have this landmark disappear. It saddens me to think that businessmen value commercialism and development more than they value a treasure that has been the foundation of joy and memories for generations. 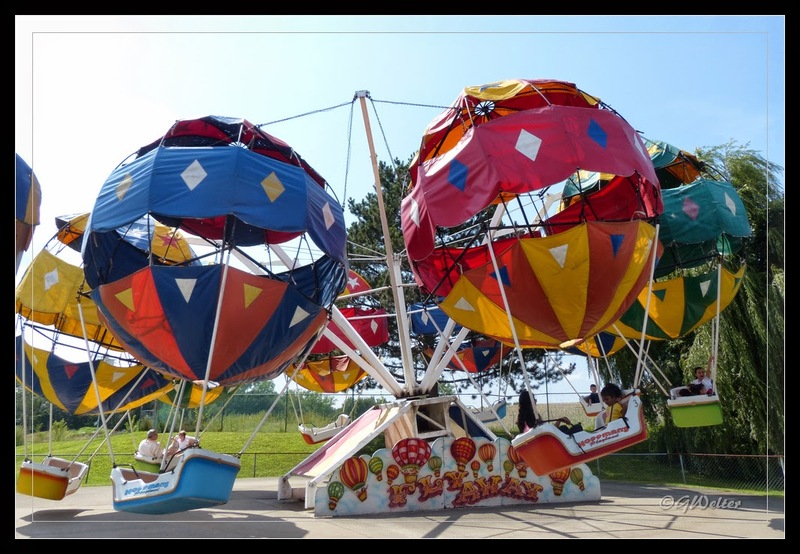 There aren't many places like Hoffman's, here or elsewhere, that have been around for 62 years where parents and grandparents can bring children for an hour or two of fun at a price that won't break the bank. 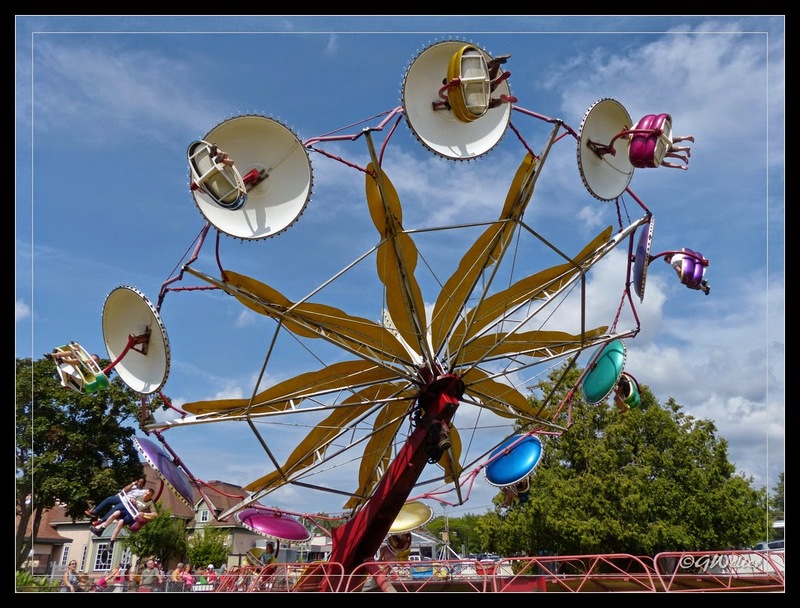 Although Hoffman's does offer a handful of "big kid" rides like a grown-up ferris wheel, a tilt-a-whirl, a rollercoaster, and a few more, mostly what brings people to Hoffman's is the "kiddy rides" that little tykes can ride. 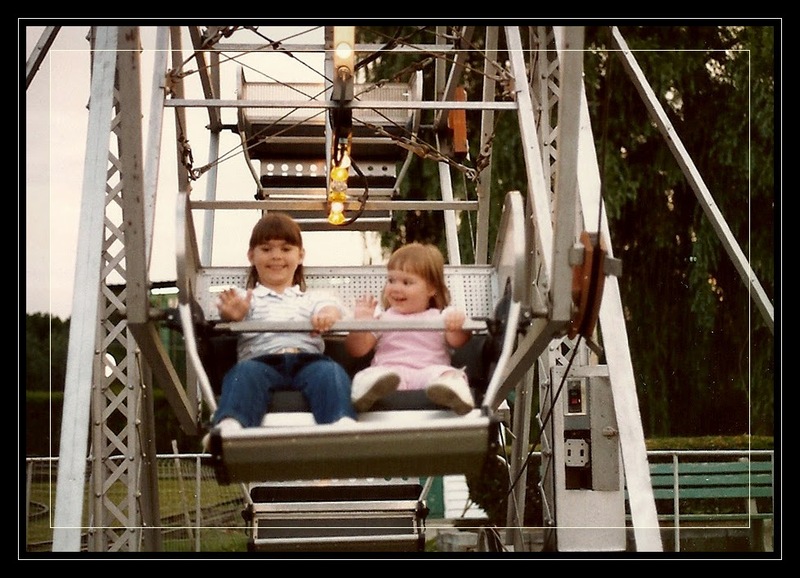 Of course, I think all parents bring their babies to Hoffman's for their first carousel ride when they still need the loving support of Mom or Dad. 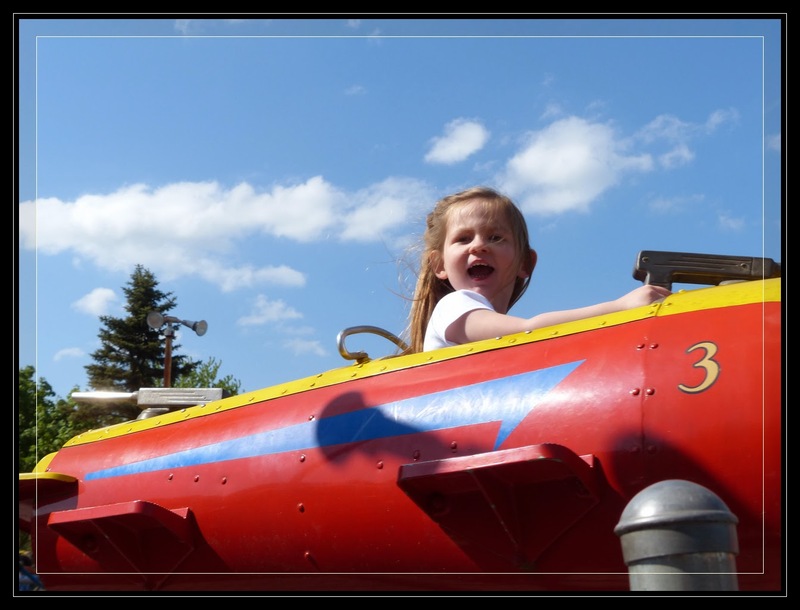 From that very first visit, kids (and their parents) look forward to coming back the next season when the toddler can ride solo. 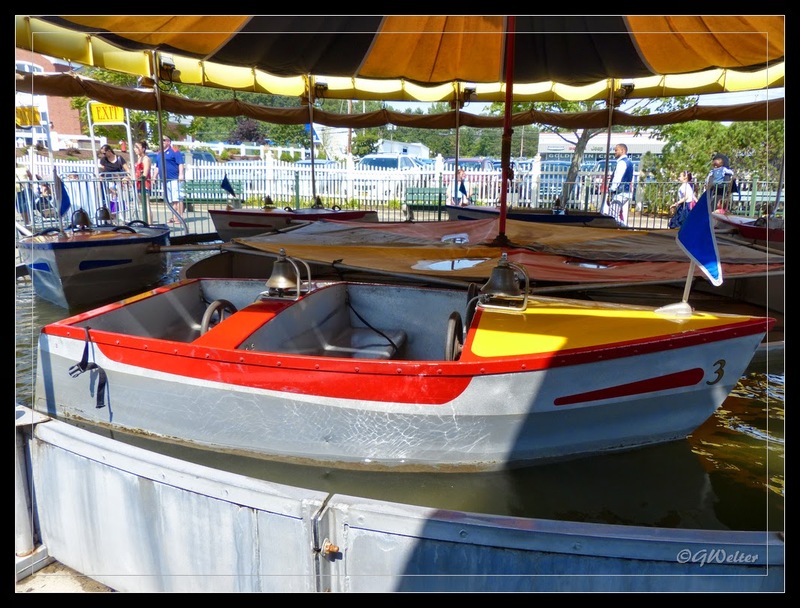 I think any adult that remembers visiting Hoffman's as a child remembers the boats! Skimming along atop of the water feels about as real as being on a real body of water for these little people! 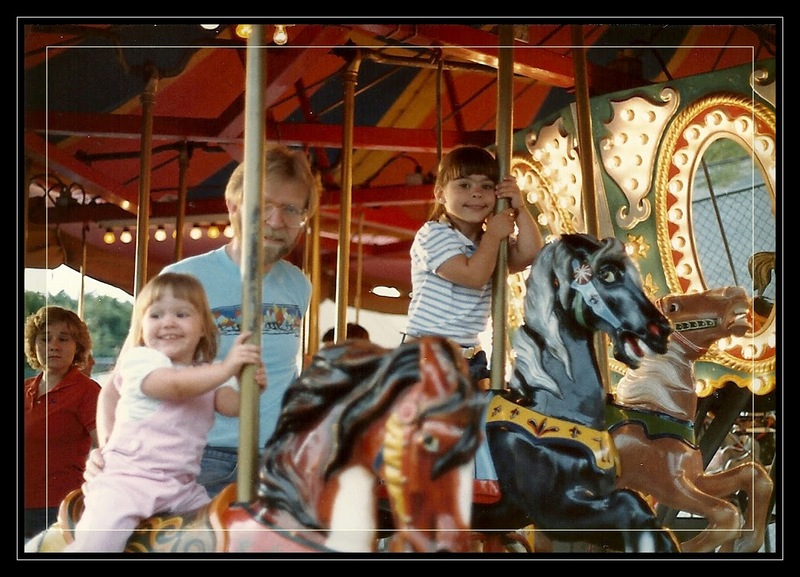 Gliding along, ringing the bells has always been a favorite for my girls, and Elena. Even my husband remembers it as his favorite ride. 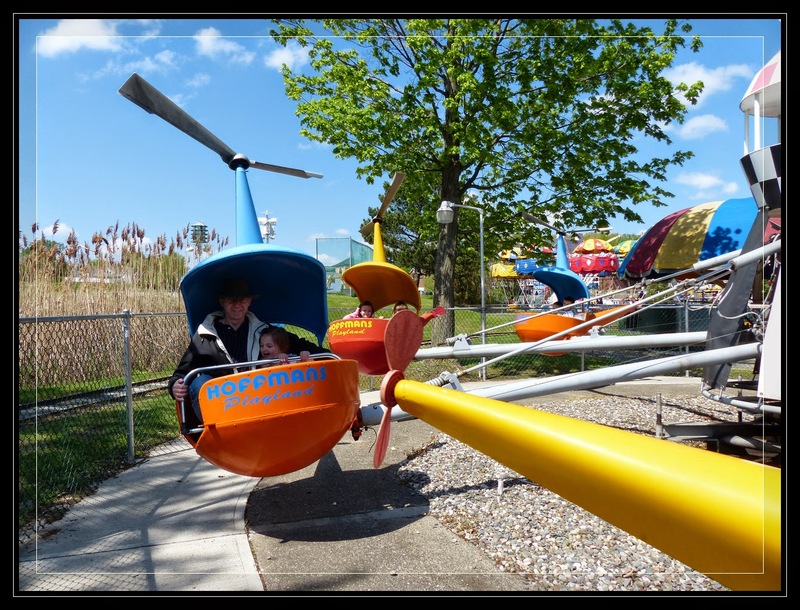 A kid at Hoffman's can be a pilot on a fighter plane or a helicopter. He can drive a firetruck, a motorcycle, a race car or a school bus, and if he's daring he can even take a ride on a hot air balloon. The opportunity for fantasies are endless. And let's not forget the Caterpillar! If they're especially brave, they can even ride on a roller coaster. 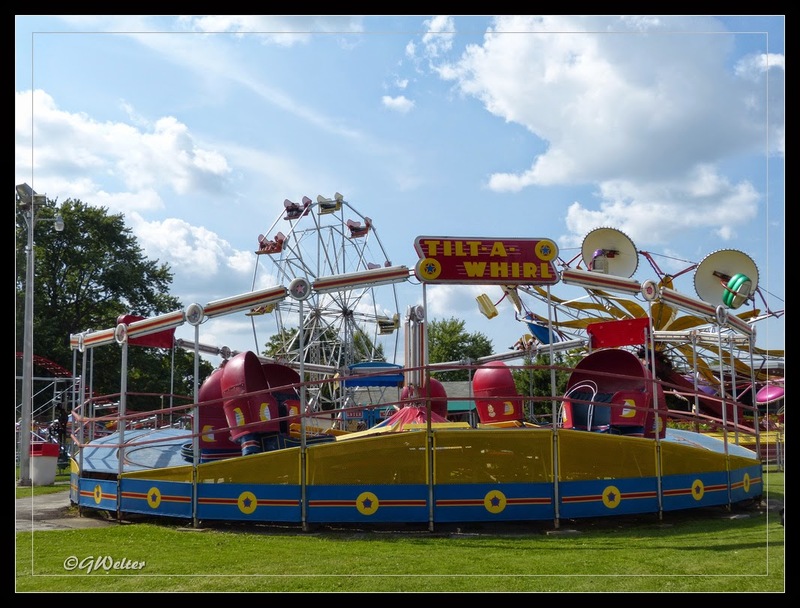 I've never been 'that' brave, but when our oldest was little, she savored the thrill of this miniature yet thrill-packed ride. Even this week when John and I went back to capture a few more photos for this blog, Hoffman's was all spit and sparkle, clean as a whistle for it's last shining season. 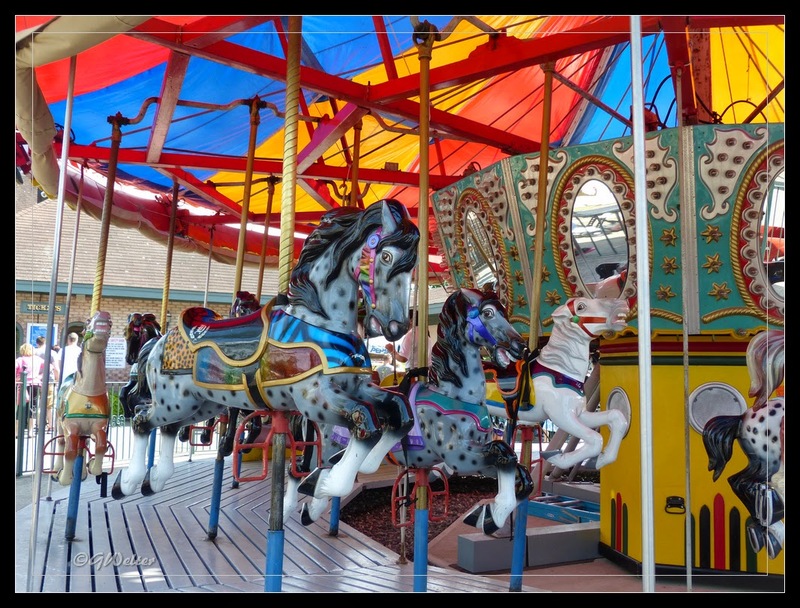 Each horse on the carousel looked brand new, the whole place looking to the first time visitor as if this were its opening season - not it's 62nd and final season. 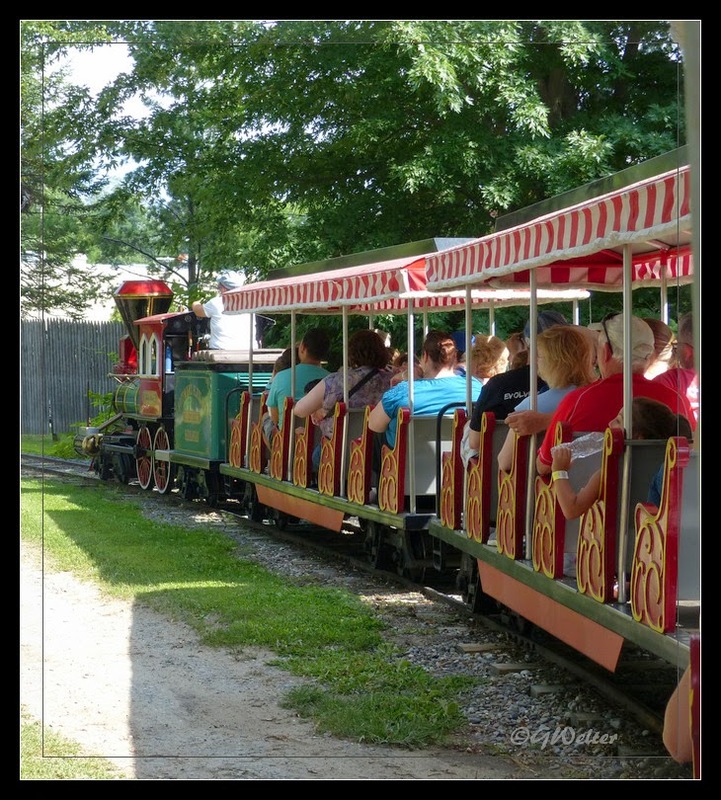 And what kid could pass up a ride on the train? 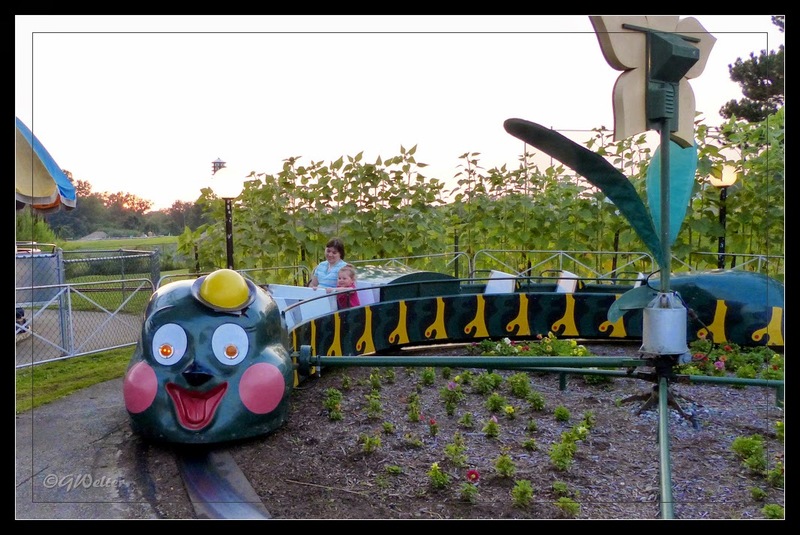 The ride that beckons every kid, parent and grandparent for a leisurely ride around the park, past the waving clown and through a long, dark tunnel! Children, young and old, can't pass up this one. 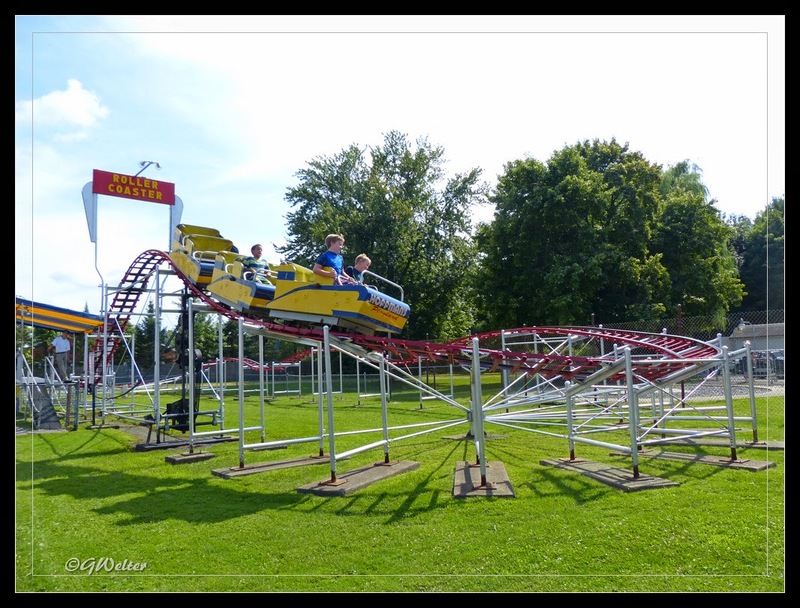 This weekend Sheryl Crow, who was performing locally, visited Hoffman's and tweeted about her ride on the Tilt-a-Whirl! 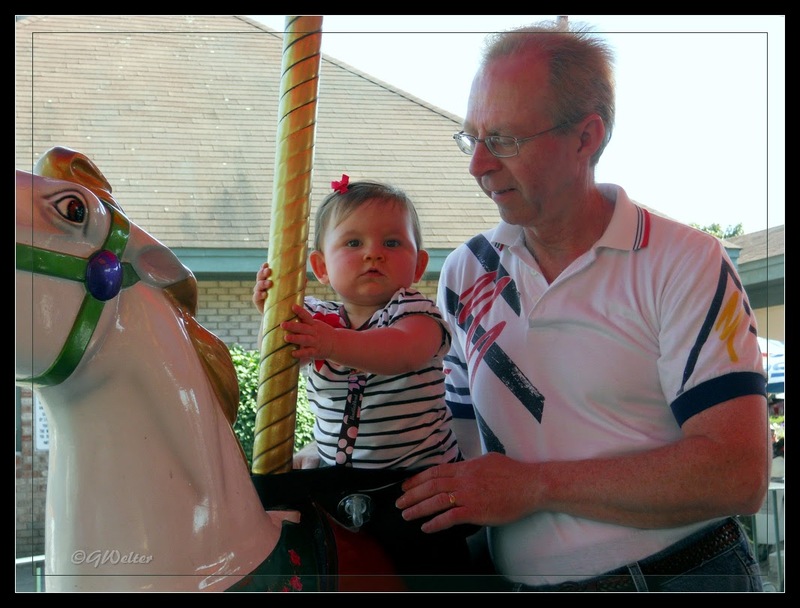 and more recently our trips with our granddaughter, Elena. 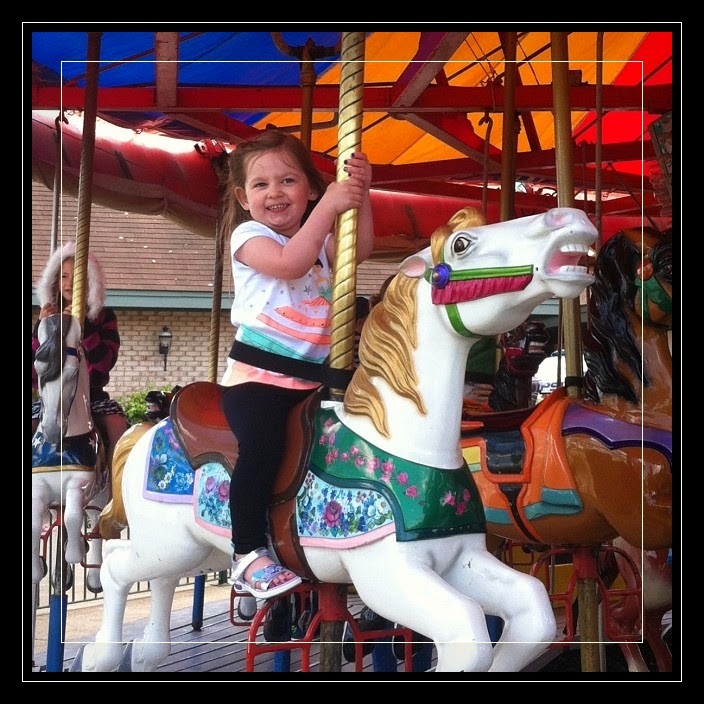 I'm so thankful that she got to visit this spring so we could have one more awesome memory enjoying this truly magical and maybe a little old-fashioned family park......a place that has brought smiles to children for decades. These are the things in life we cherish....the smiles, the joy, the memories. In 50 years, we won't look back and remember trips to McDonald's. We won't remember the stores and eateries that have come to line our thoroughfares. 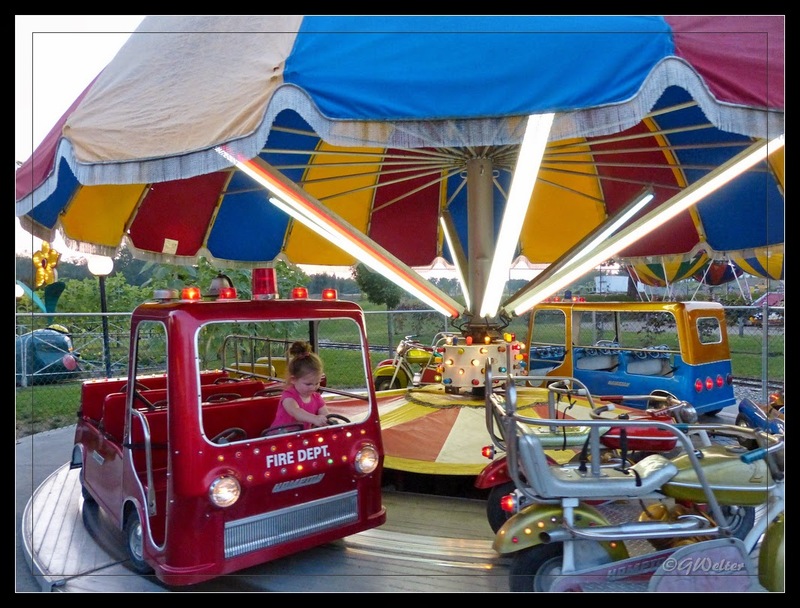 What we'll remember are the times we spent with our kids and families making memories in places as special as Hoffman's Playland. 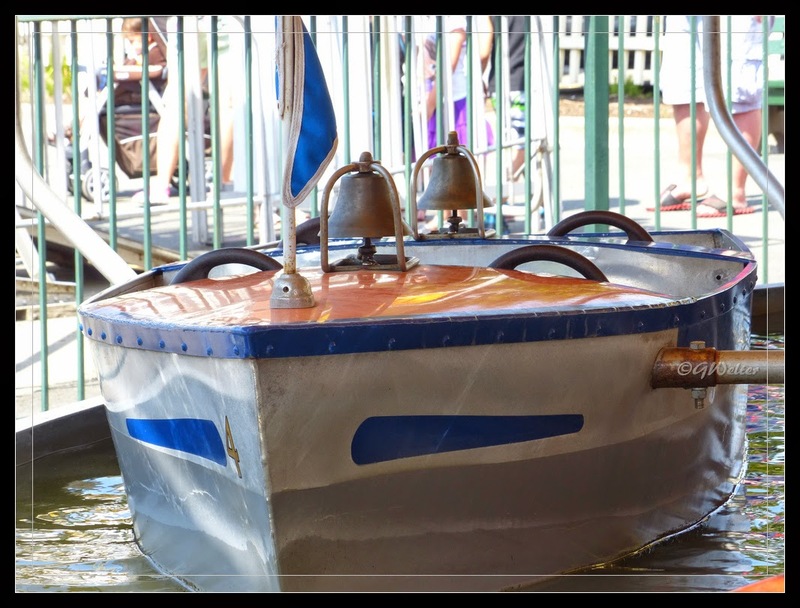 Yes, for 62 years Hoffman's has been here providing fun and memories to families for a reasonable price in a clean and safe environment. 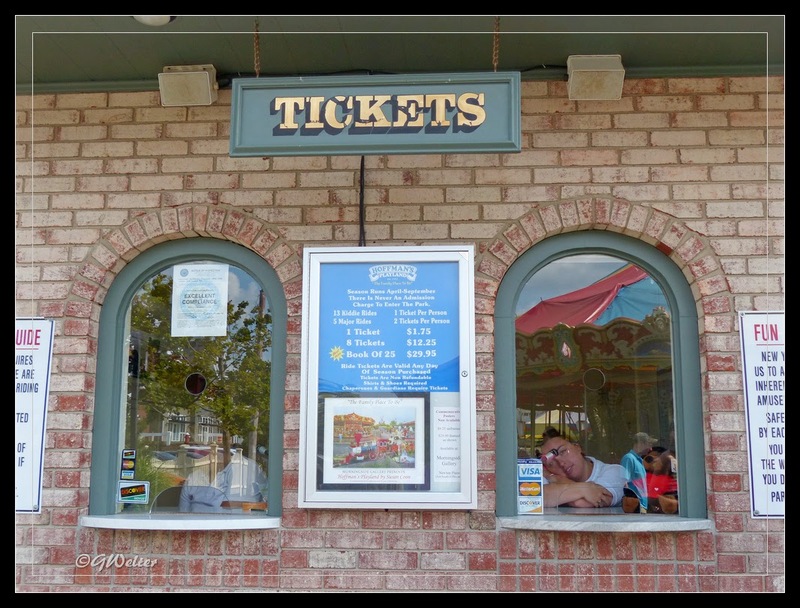 They've provided jobs to countless teens who have lifted hundreds of kids into and out of rides, stopped rides for hesitant riders and crying children, and spent their summers helping our kids enjoy theirs. 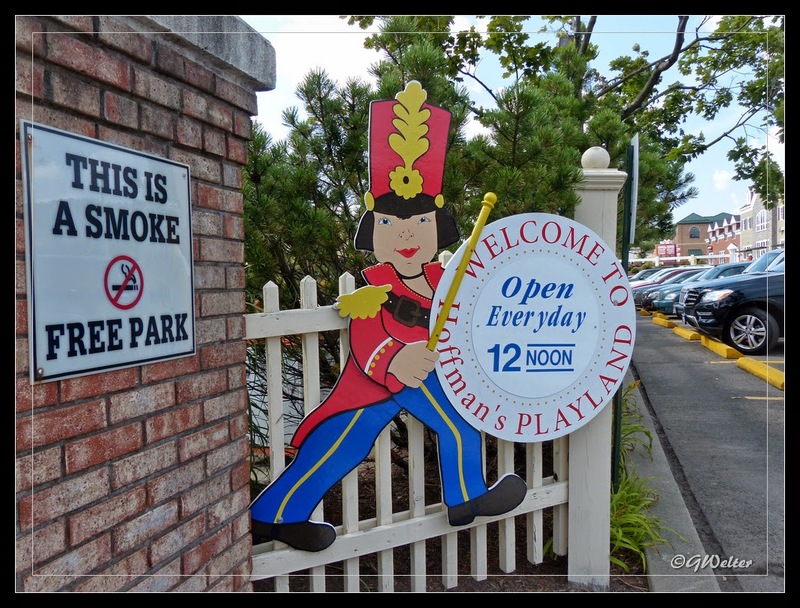 Hoffman's is not just a park, or a destination, or a business. 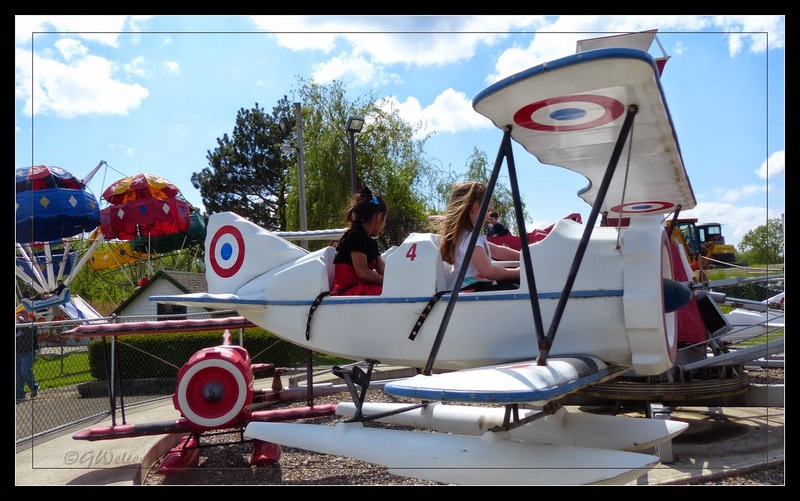 Hoffman's has been a landmark, a piece of history, a piece of our childhood and our children and grandchildren's childhoods. Hoffman's may be closing in September, but it will live on in our photos, in our memories and in our hearts for years to come. If you haven't taken your kids or grandkids there - take them NOW. This is one memory you will be glad you made and one you'll never forget! Goodnight Hoffman's - Thanks for the memories! 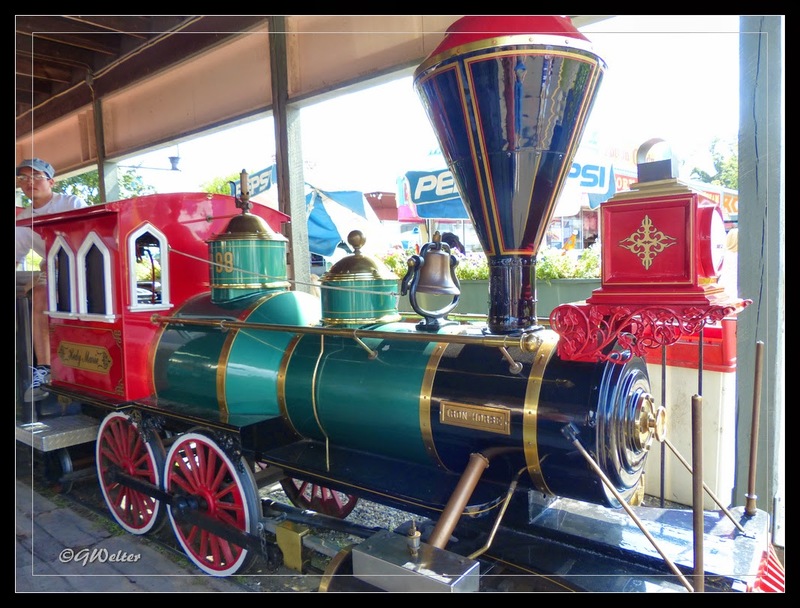 To view the photos in a slide show format with larger pictures - click on any photo. 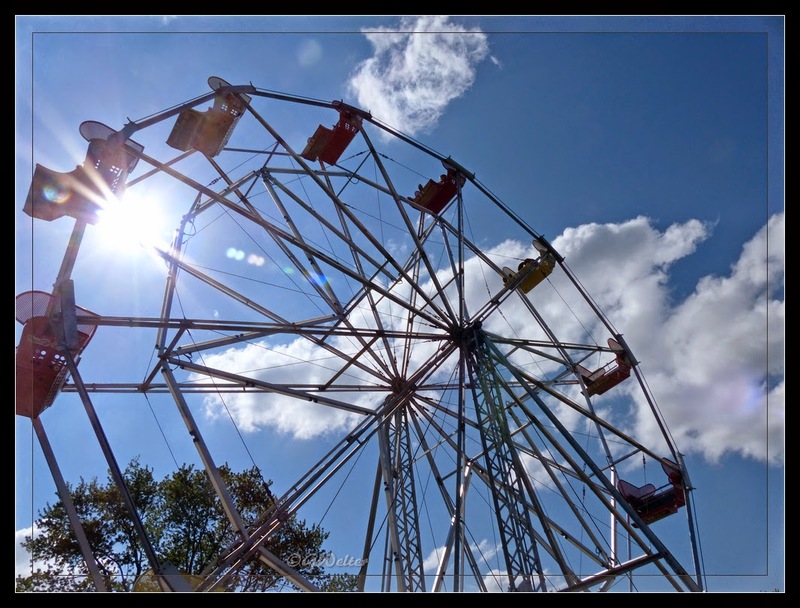 Once you are at the show, just click the pics along the bottom of the page to move from photo to photo. If you liked today's post or know someone who would enjoy it, please share. On the bottom of the post are several small boxes. If you want to share using email, click the "M". You may also share on Twitter and Facebook or Pinterest. If you are enjoying my blog and don't want to miss any entries, you can subscribe by clicking FOLLOW. And if you are inclined, please feel free to leave a comment! Thank you for allowing me to share by photos and thoughts with you! And Have a Great Day!!! 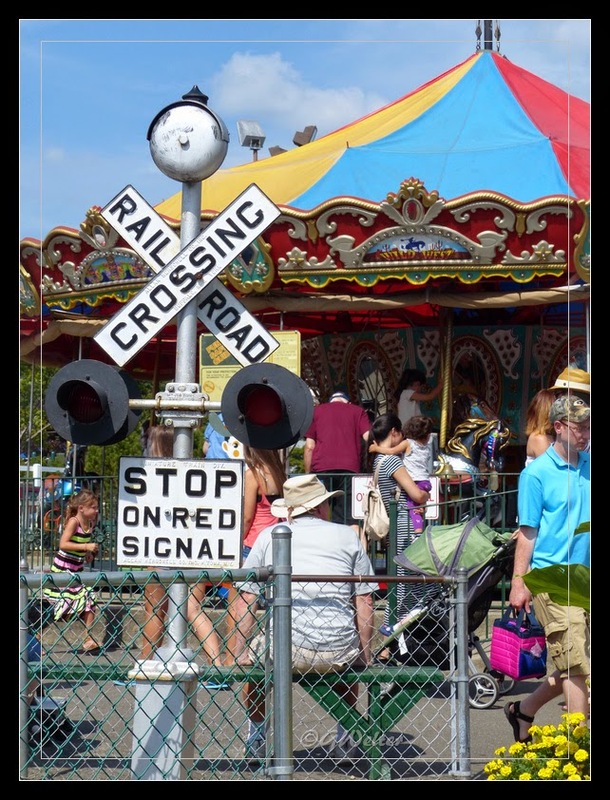 All photos, unless otherwise noted, were taken by Gail A. Welter. All Rights Reserved. Photographs in this blog may not be downloaded, reproduced or manipulated in any form or fashion without my express written consent.